Provenance: Anonymous sale, New York, Sotheby's, January 26, 2006, lot 41. Notes: Giovanni dal Ponte was born in Florence where he was purported to have been a pupil of Spinello Aretino (circa 1345-1410). 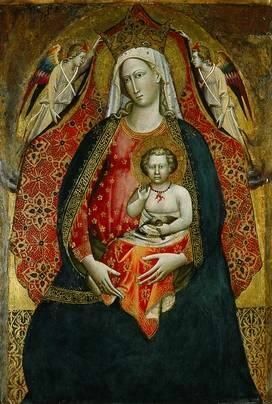 In 1410, he joined the Arte de Medici e degli Speziali, the official guild of painters, and in 1413 he joined the Compagnia di S. Luca. The moniker "dal Ponte" was taken from Santo Stefano a Ponte, Florence, where Giovanni established his workshop in the late 1420s in association with the painter Smeraldo di Giovanni. Giovanni's diverse corpus includes fresco cycles, altarpieces and cassone panels. 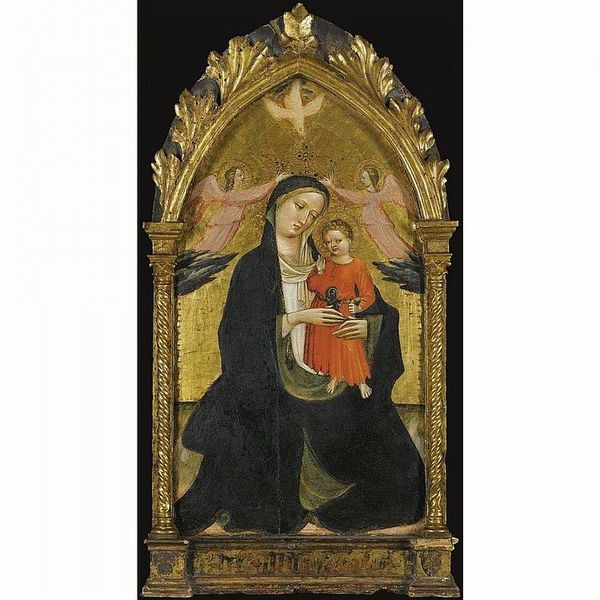 His early work was executed in the style of the Late Gothic, while his later paintings reveal the growing influence of his contemporaries including Masaccio and Lorenzo Ghiberti. Principal early works, reflecting his more decorative and linear style, are the Coronation of the Virgin(circa 1420) in the Musée Condé, Chantilly and the Ascension of Saint John the Evangelist in the National Gallery, London. 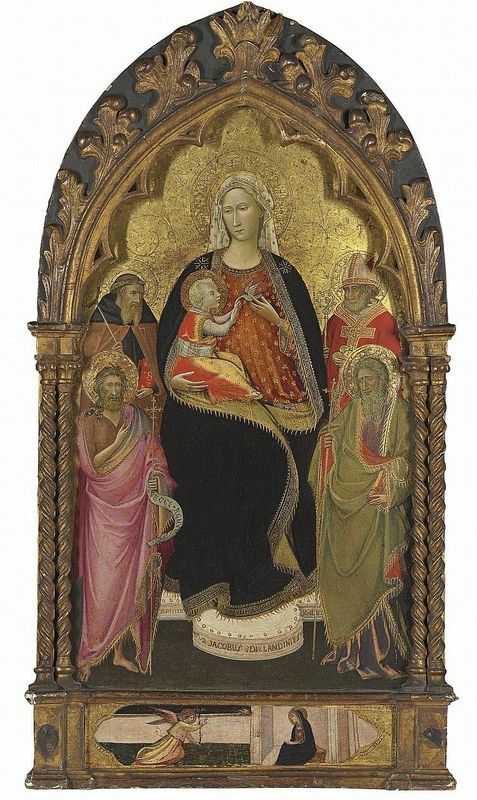 Later works, in which the impact of Masaccio is particularly evident, include the Virgin and Child with Angels (circa 1427-8) in the Fitzwilliam Museum. The Seven Liberal Arts (1435), a cassone frontal in the Museo del Prado, Madrid, is a fine example of his allegorical paintings.